Hoax -'50' (71) refugees found dead in Lorry - Austria. Wow, it's getting hard to keep up with so many false-flags and hoaxes - as yet again we are being spoken to like complete imbeciles; yet the trolls and shill's will probably come out and accuse me of being one! And the only reason so many false-flags and hoaxes are being created and put into action is because they know that 90% of the population are as thick as two planks. They read the headlines, hear the "official" storyline and just take it on face value. And to be fair I cannot blame them. However, it does pay to pay a little more attention and do some investigations yourself. Now this is when it goes all pear-shaped in the whole official storyline, - so desperate are the many EU countries that seem unable to cope with the massive surge of immigration coming from all directions, that I am totally convinced they are using this scaremongering technique hoping it will prevent or at least reduce the number of people smuggling themselves onto the back of the many lorry’s that travel throughout Europe. Is it not a rather convenient "find" that so happens to have taken place the very moment the German chancellor Angela Merkel and Balkan leaders met in Vienna to seek how to tackle the biggest migration crisis to hit Europe since World War II. "We are of course all shaken by the appalling news," Ms Merkel said. "This reminds us that we must tackle quickly the issue of immigration and in a European spirit — that means in a spirit of solidarity — and to find solutions." This is why it has got "HOAX" written all over it. Or some dark forces murdered these poor people - though I'm convinced they don't exist and like so many of the fake drowning’s at sea that they also use as publicity tool and reason why Europe has to take as many immigrants as possible - which arguably they should as after all it's our world leaders who are causing all the crisis’s to begin with! You've seen the news reports and the photo's seem to confirm this story is not what we are being told: It's claimed police are unable to say exactly how many people died; - yet why? They say the bodies remain in the truck while forensic teams comb the aftermath! There’s not much to comb over other than the back of the lorry and there's no sign the truck being open and I would have thought the very first thing you'd do was to jump into the back of the lorry - with masks on as it's been alleged there was a terrible smell of death - and done not only an immediate body count, but more importantly to see if there was the very slim chance someone had survived. Not the greatest of photos - as I took them off my computer as to avoid any copyright issue's. No police scene of crime tents or hoarding was put into place and incredibly it appears that at no time has the inside of the lorry been inspected and all they had done was conveniently wait to until a tow-truck arrived to remove it without any sign there was anyone in the back – let alone 50 bodies. They say it was a freezer lorry and we can see that it was with the refrigerated unit on the roof. If that was working, then it would be unlikely there would be much of a smell for they are designed to transport frozen or chilled foods such as meat and poultry. They say a massive manhunt is now in progress to find those who were driving the truck, yet surely that shouldn't be a problem as it's quite an expensive truck and worth more than what the alleged smugglers would have paid, if of course that's what they did and would assume it belongs to some company. A police spokesman told a news conference they believed they had suffocated, - and as I say - he crazily said; "We can assume that it could be 20 people who died. It could also be 40, it could be 50 people," he said. Yet why don't they know the "exact" figure it’s only a small truck that by simply opening the back doors and as said no matter how bad the smell may be - and quickly do a body count. Was I there at the scene then I would have volunteered to do such a thing in case there was someone still alive. National police director Hanspeter Doskozil said; "We can at this point not make any concrete details on how the death occurred." At a press conference Ms Mikl-Leitner called for zero-tolerance and said the trafficking "mafia" belong "behind bars". Justice Minister Wolfgang Brandstetter said "...people smuggling as an "unscrupulous and murderous form of severe crime" - and trying to send out the message this kind of smuggling can kill - so stop jumping on the back of lorry's as we can't cope and prevent it from happening so are making up scare tactic stories instead. I repeat; why the hell hasn’t the lorries back doors been opened to at least let the stench decline and so a body count can be done at the very least to show us they tried their utmost to rescue anyone if they could and if they couldn’t then at least they can say precisely what's happened instead of their constant nonsensical speculations of 20, 40 or 50 people may be dead. This is why and I'm extremely sorry to even think along these lines, but I'm totally convinced it's yet another hoax and like what happened at the weekend and on the Amsterdam to Paris train and even the alleged live on air shooting of a reporter and cameraman in Virginia USA. If you don't believe me then at least go on-line and Google false-flags or hoax in relation to these stories and look at some of the excellent videos that have been made that will prove it cannot have happened like we are constantly being lied to. Wake up people, wake up!! 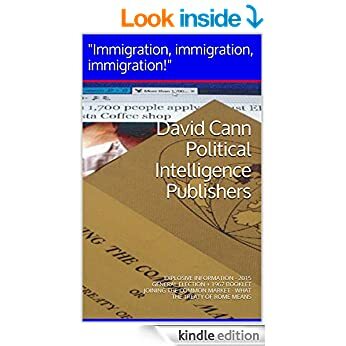 To find out the true extent of the problem with immigration in Europe - checkout"Immigration, immigration, immigration!" Press release is on TV and it's total theatre; "Life a stage" - Just look at the photo of the lorry, the doors are air tight; - what lunatic, driver, smuggler or immigrant unless totally brainless would even dare to get into the back of a lorry like that - these immigrants are as cute as can be and know exactly what to do and not what to do please at least give them some credit and not insult their or our intelligence. The EU leaders haven't a clue what to do about the immigration crisis and need to "invent" deaths happening all the time - mass drownings - children involved and so its a mind game and playing on peoples conscience - as after all we are all human and no one takes pleasure hearing of people dying in such horrific ways - and why they pretend it's happening. The real problem is - people think we live in a "normal" world and that there isn't secret societies that JFK spoke about and was about to reveal more to the world and try and tackle them within the USA government - and that's the real truth behind his death and why they killed him. We know it wasn't even Oswald, yet according to the US government and up until this very day he did it!! That's what we are really up against - crooks, gangsters the 1% who see us all as nothing more than cannon fodder. They, the 1% benefit from mass immigration so as they can completely destroy the unions and working classes in general as there is 1700 people applying for just 8 waiters jobs - with even more people applying for jobs at Lidal's! Please wake up, or stay silent.